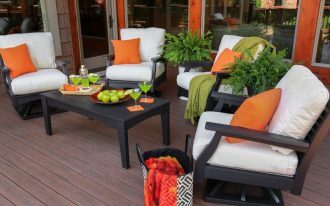 While processing interior and exterior of home, the outdoor area may often be forgotten and even left out to makeover. 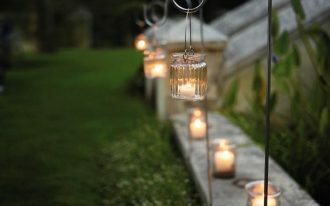 In fact, the outdoor is the space where you won’t miss out to welcome your summer holidays. Outdoor dining space, BBQ & cocktail spot, and outdoor swimming pool are some best parts you love the most when summer, and during the warmer days, having such an outdoor space feels so fun. You’re the lucky one if you have such a lovely spot. 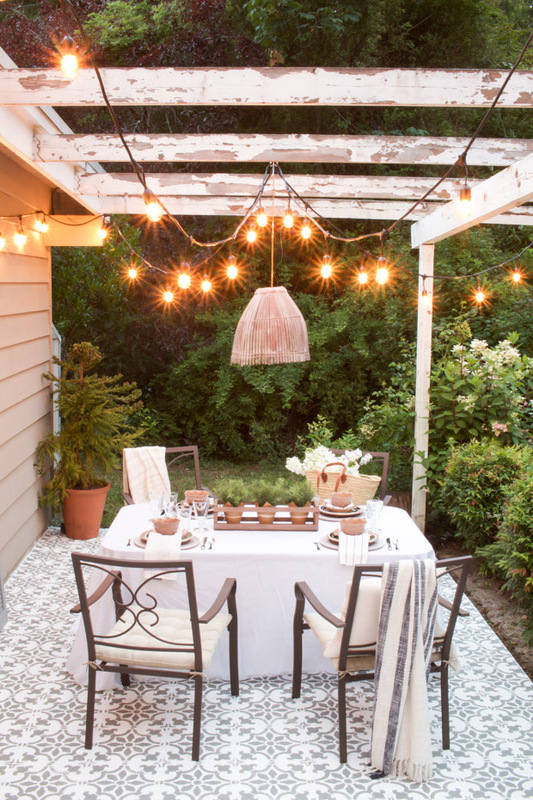 You can optimize the space with small backyard patio or just a small hut to provide a cozy seating area. 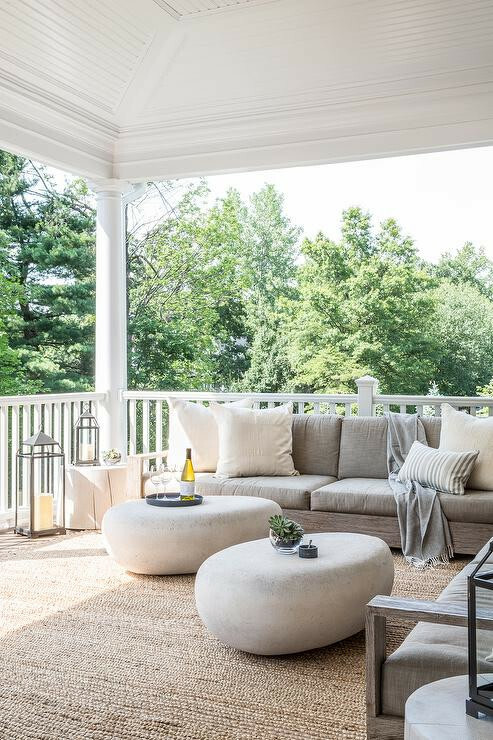 But if you still have no idea how to improve or at least to redecorate your outdoor space, luckily Pinterest provides you the latest trends of outdoor decor ideas. You’ll be rescued with the list for sure. Let’s check it out. Be bold and bravely stunned with pop of colors and patterns. Put the idea on tiles and we really sure that the bold tile installation is a great solution to spice up your patio, and this idea keeps the furniture pieces neutral. Forget the daybed as now it’s time for hammock. 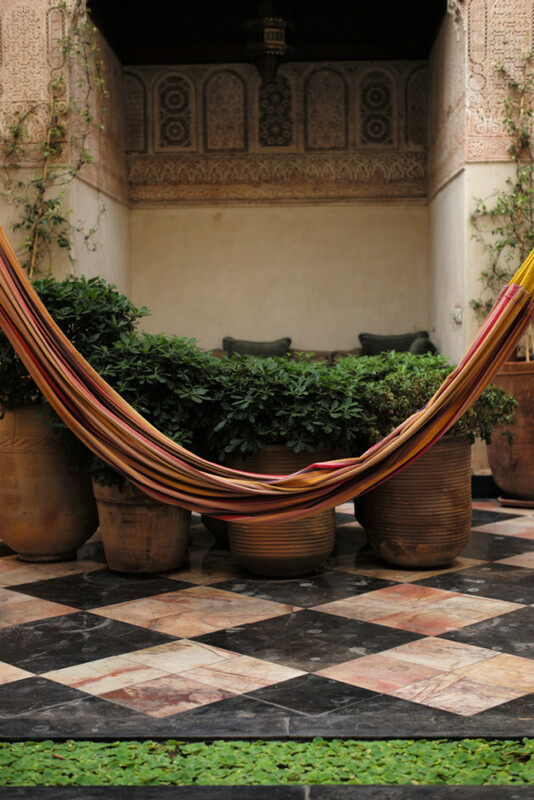 This hung fabric is quite simpler than other outdoor furniture obviously takes plenty of space. Its torn look really meets the entire exterior theme, traditional Moroccan. 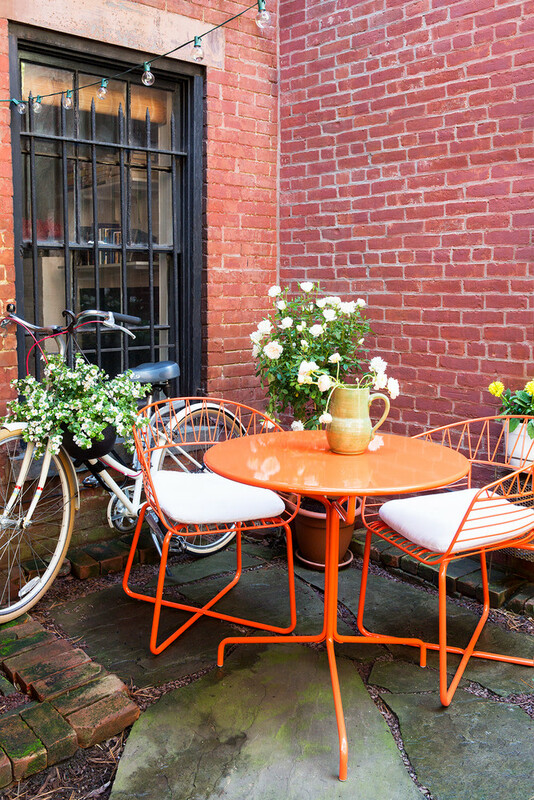 This tiny patio can be more attractive with a punch of bold shade. A cluster of outdoor furniture guarantees a creation of perfect outdoor dining nook. 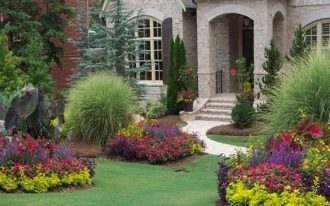 Don’t ever neglect your front yard. Just think of front porch or just a small walkway. 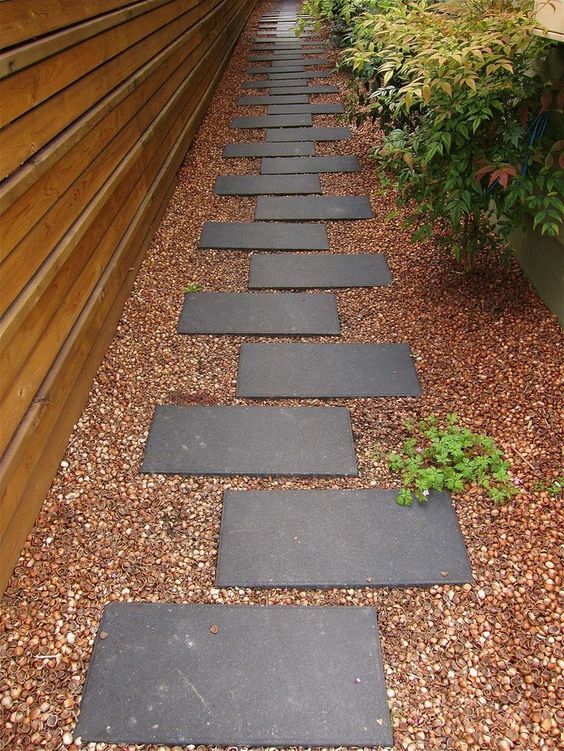 Hopefully this simple walkway will inspire you, but if you’re already have the walkway, you just need to do a little makeover and transform it into a stunning statement. Party without a bar? It doesn’t matter. Keep your party fun and memorable with something never find in other parties. 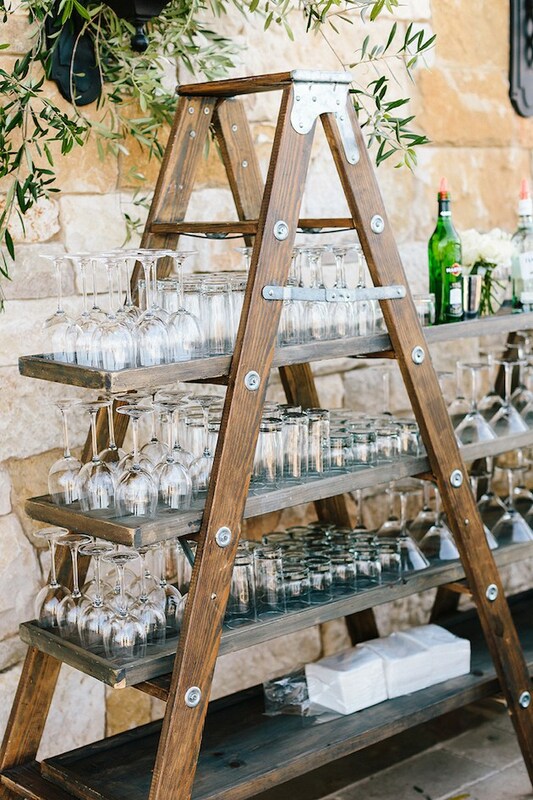 This ladder drink station is the example. Welcome all your guests with this creative piece. 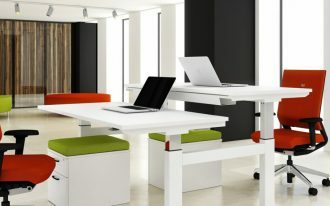 This can also be used as a display station in which this will impress your guests. 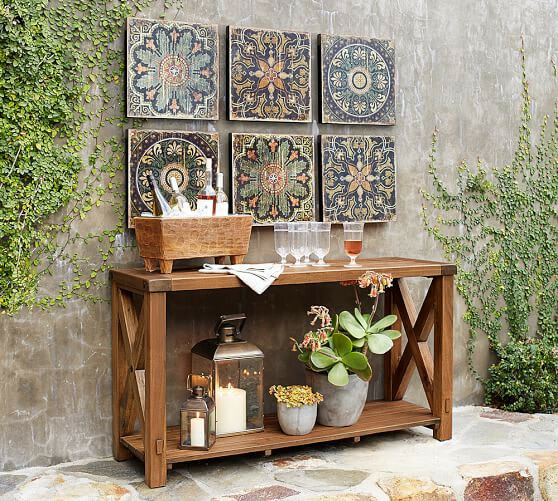 It’s okay to bring your artwork outside and make it a part of your gallery wall, but it’s more creative if you use the existing pieces like the planters as the part of gallery wall. 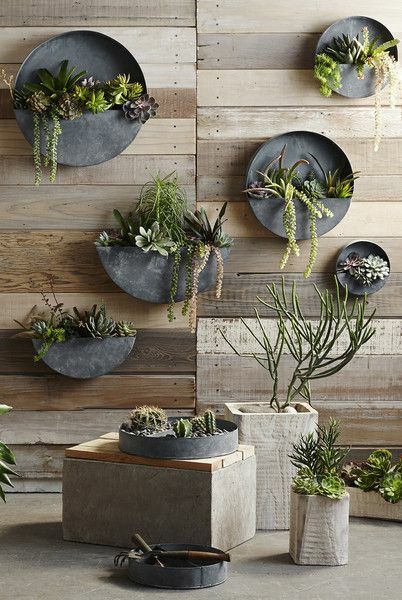 These wall-mounted planters are the examples. 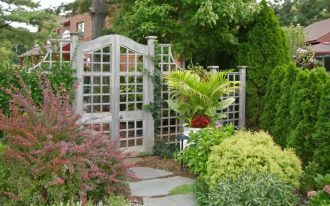 Garnish your exterior walls is another great idea to bring uniqueness into your outdoor space. Fill your gallery with such beautiful ethnic-print wood tiles and make this wall as accent wall for any objects around it. 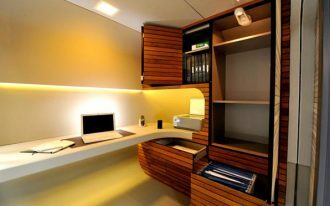 Bring out your indoor furniture for cost-efficient solution. This situation is good when you want to enjoy the warmer days outside without spending much money for new furniture. What a surprising style. 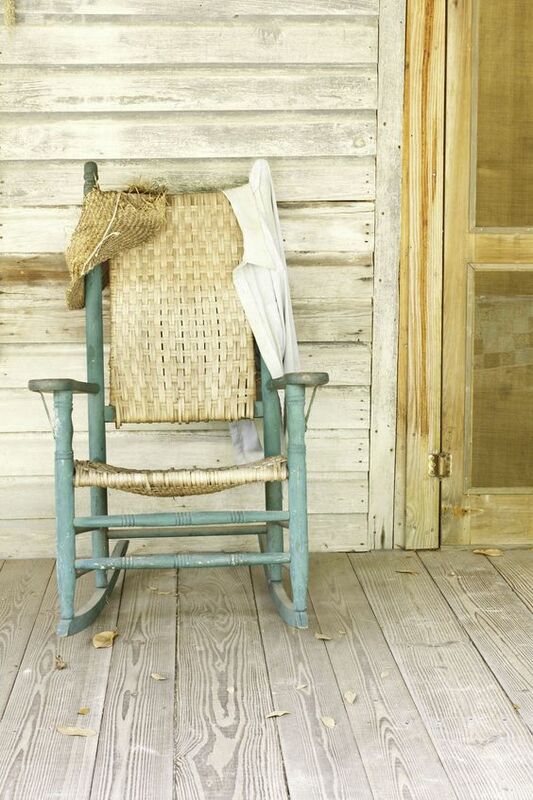 Visually the chair is worn out but it totally blends with the existing style: shabby & vintage. It’s okay if you want to make it just as an exterior ornament. 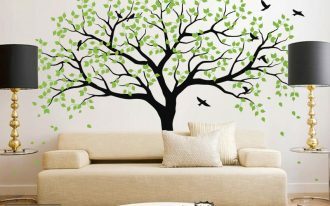 You don’t need to buy more furniture, fabrics, or ornaments for your summertime. 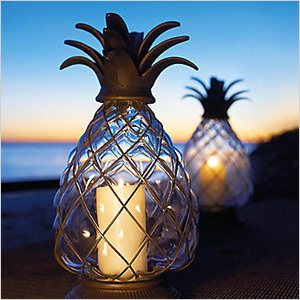 Instead, simply update your outdoor lighting like this pineaple glass lighting. 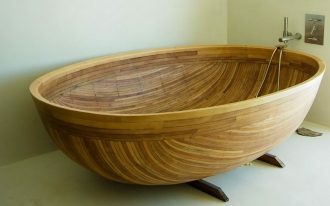 Its unique design of course makes your outdoor space looks different.